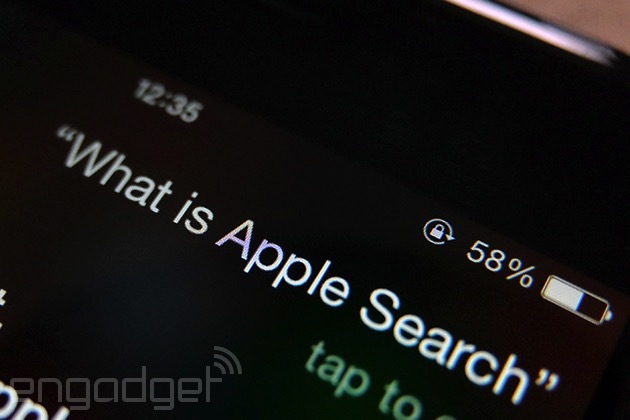 Is Apple planning its own search engine? What is Apple Search? That’s a question a lot of people will be asking over the coming months, after we spotted a job ad that references the as-yet-unknown service. The job summary calls for a project manager to work on “a search platform supporting hundreds of millions of users” and “play a part in revolutionizing how people use their computers and mobile devices.” That could mean any number of things, but let’s play a guessing game. Assuming that Apple really is building a search engine, chances are it’s not likely to be a direct attack on Google — no one is going to switch their search engine to applesearch.com, and Apple knows that. Instead, any search effort is far more likely to be baked into Siri, Safari and Spotlight, i.e. places where most won’t dig through the options and change their search engine. Why? Let’s look at some history. After initially being the best of friends, Apple and Google are in the midst of a not-so-cold war, thanks largely to Mountain View’s decision to get involved in the smartphone battle. That’s led to Apple reducing its reliance on Google, even doing things that upset its users like removing Google Maps and YouTube as default iOS apps. More subtle changes have come through Siri, which taps services like Bing, Yahoo and Wikipedia for information, rather than Google. These small changes have helped marginalize Google’s hold on iOS users, and flipping the switch on Apple Search in Safari would be a continuation of its efforts in this area. But why build your own engine when alternatives already exist? We’ve already established that Apple is in a quite a Google-free place right now, but it’s not exactly standing on its own two feet. Its reliance on Bing, in particular, may be daunting given Microsoft is a direct competitor in many areas. Apple Search would be a good way of breaking those ties. An Apple search engine, as crazy as it sounds, could have a big impact on Google in the long run. Take a look at Firefox. Mozilla removed Google as the default search provider for its browser just a few months ago, and it’s already led to Google’s marketshare dropping sharply, according to StatCounter. Even though users have the option to set their default search engine, usage of Google on Firefox fell from 82 percent to 64 percent over the past three months. Applying the same tactic to Safari would seriously affect Google’s marketshare. The average Engadget reader might have Chrome installed on their iPhone, but the vast majority of users still use Safari for their iOS browsing. Of course, we need to temper this speculation with the fact that no one knows exactly what Apple Search is. It could just be a refined Spotlight device search, a better way to search for Apps or music on iTunes or even an internal tool written up by an over-zealous recruiter (the word “revolutionize” appears in no less than 43 Apple job ads right now). But, with over a billion iOS devices out in the wild, responsible for a lot of searches, a search engine would be an easy way for Apple to pitch a tent in Google’s backyard. This entry was posted in iRumors and tagged apple, apple search, google, ipad, iphone, irumors, iRumorsnow, mobilepostcross, Rumor. Bookmark the permalink. Sonos unveils limited edition Blue Note speaker to celebrate 75 years of jazz.